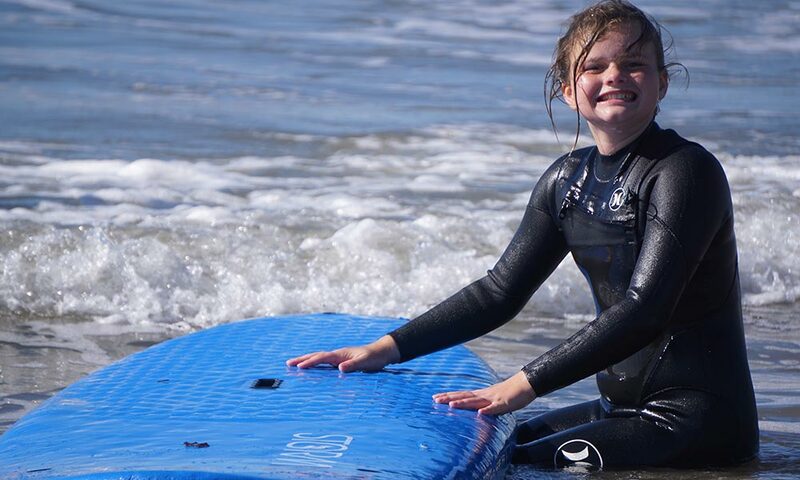 Learn to Surf Series Just for Girls! 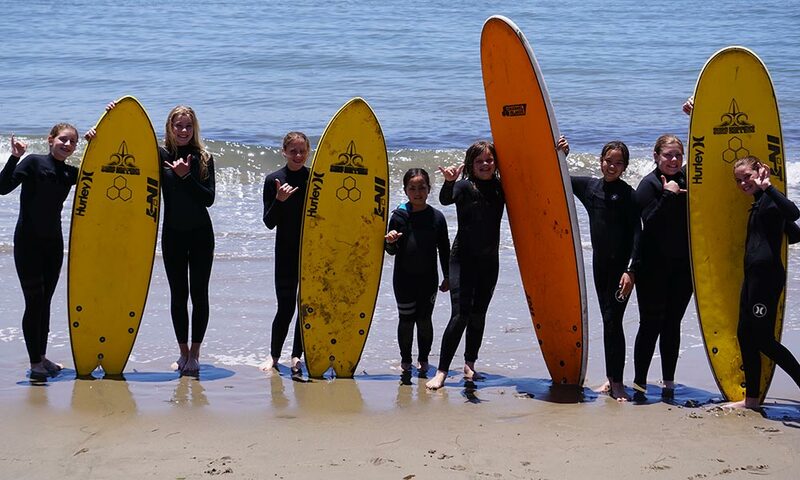 Each surf day focuses on building the fundamentals of the sports, teaching safety etiquette, oceanography, and the basics of catching waves and standing up. 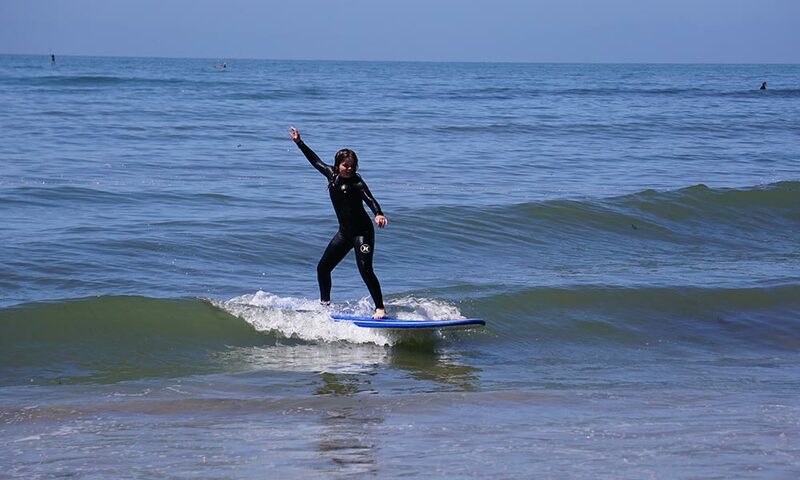 On-land balance trainers, beach games, and fun with friends is a part of each surf day along with an environmental talk and beach clean up. 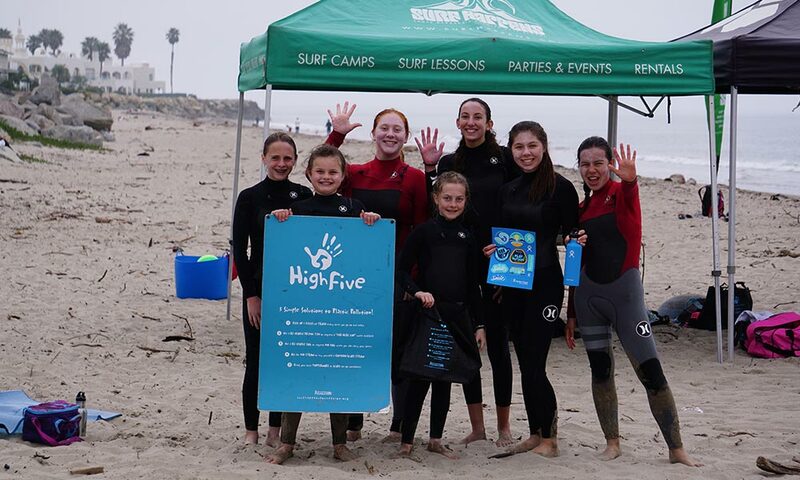 Participants each receive a Surf Happens hat and are provided with new wetsuits and boards to use during the lessons. 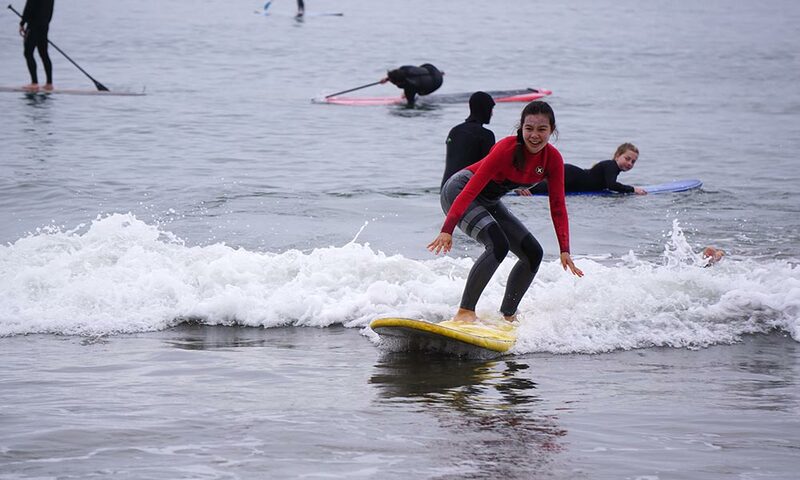 That feeling of overcoming fears, facing a challenge, and the thrill of riding on a wave foster camaraderie, confidence, and build memories that will last a lifetime. 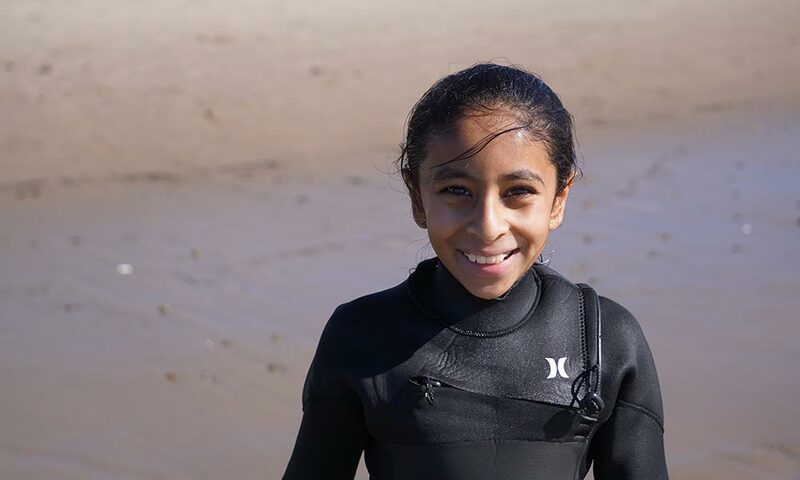 The Surf Happens Foundation is offering full and partial scholarships for the program as well. 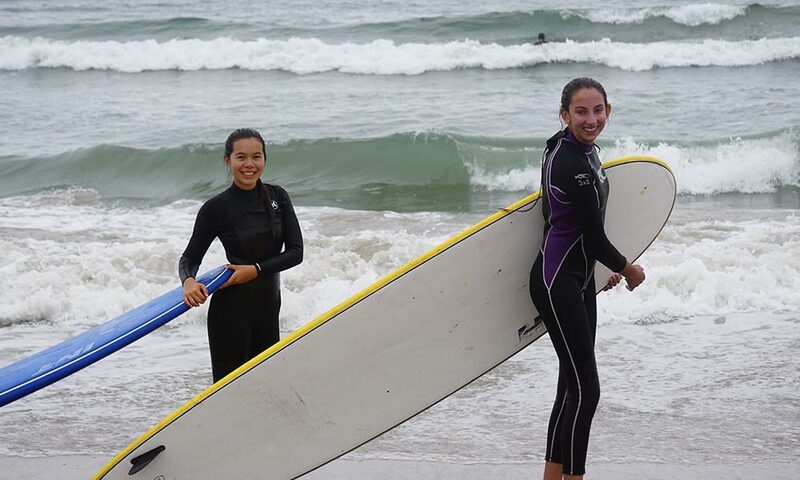 Each surf day lasts from 10 a.m. – 2 p.m. 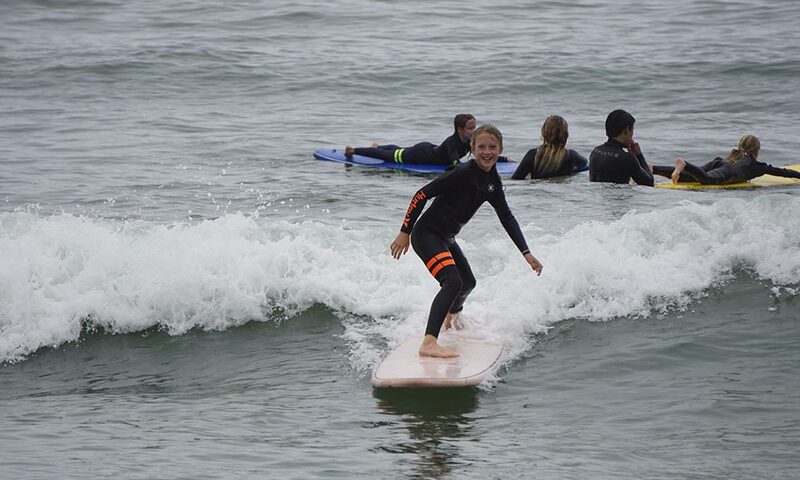 Sponsored by Hurley and Channel Islands Surfboards, participants will be treated to the best instruction and equipment available. 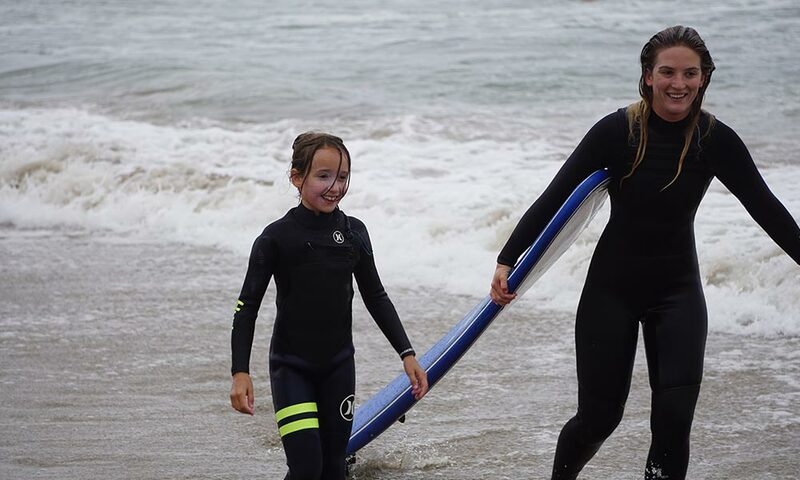 Surf Happens hat, Girls Surfs Curl badge!